CMA Insurance was founded in 1996 by Chaz Adams. The company’s focus began and remains group health insurance and employee benefits. The journey began in the first year with a client who was denied coverage for back surgery last minute by a health insurance carrier. Successful contact with the Florida Department of Insurance and eventual coverage for the surgery sparked a consumer driven interest in Chaz. Today we diligently shop and compare all the available plans to your company. This is a challenging process as new plans are constantly offered and carriers move into and out of the marketplace. Once a plan is selected, we are right by your side for all benefit administration. We help you with tasks including adding or terming an employee, reconciling your bill, or helping with employee claims. This is as simple as contacting our office or utilizing electronic administration right from your desktop. CMA brings 23 years of group health insurance experience to the table. Our clients benefit from the strategic alliance we have made with providers and consultants in the employee benefits arena. We remain current on legislative changes that affect your business and employees. If you’re ready to look at current plans available and want to experience personal service and modern day administration, call us. We have the solutions for you. Chaz Adams was raised in Ponte Vedra Beach Florida the oldest of three brothers. He attended local elementary and high schools and went on to graduate from the University of Central Florida with a degree in Finance. He resides in Ponte Vedra Beach and has two children Leah (age 14) and Michael (age 11). 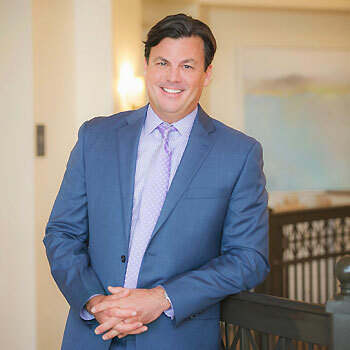 Chaz began his insurance career in 1994 with Coordinated Programs in downtown Jacksonville. He soon became focused on providing more personal service for his group health insurance clients, which led to the birth of CMA Insurance and Financial Services, Inc. in 1996. Chaz looks forward to celebrating 23 years of service in the health insurance business this coming January!